Feature: AVGD: Is This What Most DS Games Will Look Like On The Wii U Gamepad? An SNES Classic Shows A Possible Display Method! Many people have been wondering how Nintendo would manage to display the DS's dual screens properly on the Wii U Gamepad since the console was confirmed for future use on the Wii U Virtual Console Service. 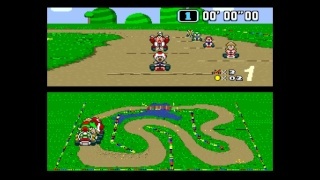 Many believed that Nintendo would be forced to use the TV as a second screen for horizontally displayed games, while others have said that only vertically displayed games would be released due to the shape and size of the Gamepad's screen, but looking at the classic SNES title Super Mario Kart it seems that could be the display method that Nintendo uses for their DS titles on the Wii U Virtual Console Service! The dimensions of the screen might not be pixel perfect, but it certainly would work for DS titles, furthermore it would allow for easy use of the top/bottom screen touch controls in many games and would allow players to easily see important information on both screens simultaneously! While this method might not be the best looking solution in-terms of visually keeping the games looking as nice as they did on their original hardware it would certainly be one of the most practical ways of making most DS titles fully playable on the Wii U! Well that's just our theory on the matter, but what do you guys think? Do you think that our theory is plausible or do you have your own theory about how Nintendo is going to display DS games purchased through the Wii U Virtual Console Service? Let us know in our comments below! 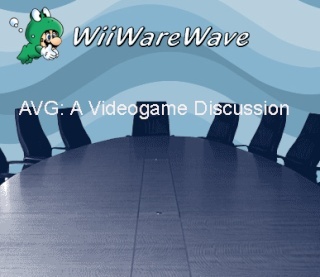 Re: Feature: AVGD: Is This What Most DS Games Will Look Like On The Wii U Gamepad? This is the only way that I can see DS games working because using the TV as one screen and the gamepad as another would be very awkward. Nice feature Rukiafan! How would that make you disprove that theory? Also the second part of your post doesn't make any sense. On second thought it does make sense you just made a few typos lol. I'm going to myself right now. 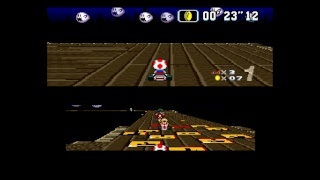 I don't see why Nintendo wouldn't be able to program DS games to use the same dual screen settings as Super Mario Kart and add touch screen controls! Otaku-kun is right there aren't enough vertical screen games for Nintendo to waste their time adding the DS to the supported classic hardware of the Wii U VC so they must have an idea to allow any DS game to be ported on their emulator! Thanks for all of your comments on this article! I don't even know why people assume that. It makes no sense at all.